The Jade Idol as it first appeared when it was completed in 1959. Photo courtesy of Gene Winfield - Winfield's Custom Shop. The Jade Idol at an indoor car show. Photo by Andy Southard. A photo of the Jade Ido taken at the 1960 Renegades Rod & Custom Motorama. This photo appeared in Car Craft November 1960. Photo by Bud Lang, courtesy of Car Craft Magazine. A photo of the interior in the Jade Ido taken at the 1960 Renegades Rod & Custom Motorama. This photo did also appear in Car Craft November 1960. Photo by Bud Lang, courtesy of Car Craft Magazine. The Jade Idol was first shown on the West Coast. After that it was sent to the East for shows there. On the way back to California after a show in Missouri, the trailer that hauled the car flipped and the car landed on its roof. Photo from The Brad Masterson Collection. Gene working on the Jade Idol after the flip. Photo courtesy of Gene Winfield. The Jade Idol at the 1984 World of Wheels Boston. Billy Belmont of Belmont Rod and Custom was the current owner. Photo from the Marty McDonough collection. The Jade Idol as it sat in 2009. In September of 2017 Billy Belmont sold the Jade Idol. This photo was taken September 20, when the new owner picked the car up. 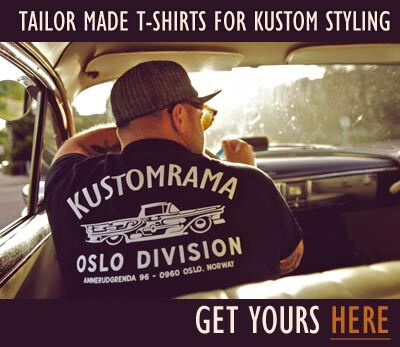 Photo courtesy of Kustomrama. The newly repainted Jade Idol as it appeared May 23, 2018. Photo courtesy of Wheels Unlimited. Photo courtesy of Wheels Unlimited. A photo of the Jade Idol taken at the 2018 Cruisin' Nationals. Photo courtesy of Brian Auderer. In 2013 Jonnie King interviewed Gene Winfield about the Jade Idol and how he sectioned it. Click here to hear the interview. The Jade Idol is a 1956 Mercury two-door hardtop that Gene Winfield of Winfield's Custom Shop designed and restyled for Leroy Kemmerer of Castro Valley, California. The Jade Idol was Gene's claim to fame, and it was the car that helped him gain national recognition as a custom car builder. Leroy bought the brand new Mercury in 1956. He used it as his daily driver until 1958. In 1958 he decided it was time to restyle the car, so he drove it to Modesto, California to have Gene restyle it. Leroy told Gene that he had a certain amount of dollars he could spend on it, and he told Gene to do anything he wanted to it. Gene presented his plans for the car, and told Leroy that he could build the car for the proposed price of $15,000 on the condition that Leroy let him use the car for one year on the show circuit. Gene decided that he wanted to section the car, so he took 4 inches out of the body. The Jade Idol was the first car Gene ever sectioned. The front end was fit with handmade fenders rolled in aluminum. The fenders featured canted quad Lucas headlights with unusual headlight rings that Gene made from 1959 Chrysler Crown Imperial hubcaps. 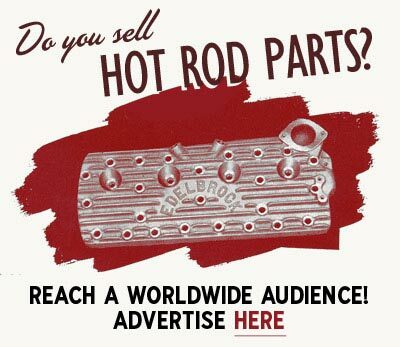 The front end also featured a frenched rectangular bar grille with stainless inserts, rubber tipped nerfs, 1957 Dodge fender flares and a rolled pan. The rear fenders were 1957 Chrysler New Yorker quarter panels that were grafted to the original body. Red lenses made from Lucite plastic were added to the fenders. The rear grille received a treatment similar to the front. The bumpers which hang below the front and rear valance were bars covered with a single aluminum extrusion and rubber insert taken from a Porsche 356. The trunk was smoothed and reshaped. Inside, the stock dash was removed and a padded unit installed. A TV set was integrated into the dashboard. The instruments were located in the steering column hub. Gene built this using a steering column from an Edsel because the wiring for the Edsel's wheel-center push-button shift selector allowed him to place the speedometer at the center of the steering wheel. Cocktail chairs were mounted on swivel set-up. The upholstery was done in pleated white Naugahyde and green velvet. The stock engine was kept, but Gene hopped it up. Enhancing paintwork and chrome trim gave the car valuable extra points at car shows. The engine was hooked to a T-Bird automatic transmission with a floor shifter. Gene laid the wild fadaway candy paint job on the Jade Idol himself. Completed in 1959, the build took one year and $16,500 to complete. As Leroy didn't have enough money to complete the build, Gene ended up spending $1,500 of his own money in order to finish the car. Once completed Gene sent the car on a tour under his name. The car won prizes everywhere it was shown, sometimes for best custom, best paint, best interior, best engineering, sweepstakes or best of show. The Jade Idol was first shown on the West Coast. After that it was sent to the East for shows there. On the way back to California after a show in Missouri, the trailer that hauled the car flipped and the car landed on its roof. The roof and the rear quarter panel were damaged in the flip over. As Gene had insured the car to Leroy himself, Gene had to fix up the car himself, with his own money after the accident. The car was brought back to Winfield who stripped the car, welded on a new roof, fixed other body damage and repainted the car. The restored version of the car was done without the chrome strips on the roof. After the car was fixed, Gene made another deal with Leroy to keep it for another year so he could show it some more. When Leroy finally got his car back, he was stopped by a policeman on his first ride. The policeman gave him 14 citations for various infractions. He told him that the car was too low, that it didn't have reflectors in the taillights, that it didn't have a license plate, and so on. Leroy fixed them all so that he could use the car without too much hassle from Johnny Law. He kept the car for a few years, before he decided to sell it because it because it was impractical and he lost interest in it. Leroy sold the car for a few hundred dollars. After touring the show scene for several years, the car fell into disrepair as it changed hands many times. In 1979 Rod Powell discovered what was left of the car in a body shop that didn't have a clue as to what it was. The body was off the frame, and it was going to be put on a Corvette chassis. The body was just an empty shell in bare metal and it was very rusty. The shop was getting ready to radius the wheel wells for bigger wheels and tires. The original frame was under a pile of scrap metal at another shop. The best thing about the deal was they had all of the loose parts and trim boxed up and stored. 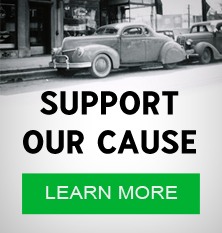 Rod convinced Jerry Rehn to buy the car and do as authentic a restoration as he could. Jerry bought the car, and disassembled it in order to restore it back to its former glory. Ted Mitchell helped Jerry restore the car. Rod Powell did the paint job on the car. Jerry also decided to swap the reversed chrome rims with wire wheels. The interior was upholstered by Rocky DeMateo. In the early eighties Jerry sold the car to Bob Page. Bob modified the car improving the brakes and making a few other changes. The car was also repainted in a light pearl mint green color with subtle shading. In 1987 John D'Agostino traded his show car the Royal Tahitian for the Jade Idol. The deal was done right after the awards ceremony at the 1987 Sacramento Autorama. John's plan was to have Gene Winfield redo the car exactly like it was when he originally built it. To busy building his own cars John never got around restoring the Jade Idol and the car was sold to Billy Belmont of Belmont Rod and Custom in Dedham, Massachusetts. Billy restored the car for the third time after he got it. Noted author John DeWitt considers Gene Winfield as the Brancusi of the custom car world; "Brancusi, noted for his profoundly simple structures like the Bird in Space series, believed that "simplicity is not an objective in art, but one achieves simplicity despite one's self by entering the real sense of things." In 2002 John published the book Cool Cars, High Art: The Rise of Kustom Kulture. In the book, the Jade Idol is used as an example, and John describes it as "the apotheosis of an American production car envisioned as pure form. Created during a period of unrestrained expression, it is defined as much by what Winfield doesn't do as what he does." In September of 2017 Billy Belmont sold the Jade Idol. September 20, the owner, who wants to remain secret, picked the car up. After buying the car, the new owner sent the Jade Idol directly from Billy's shop to Winfield's Custom Shop where Gene Winfield recreated the original fade paint job he gave the car in 1959. After the re-paint, the Jade Idol made its first public appearance at the 2018 Cruisin' Nationals in Santa Maria, California May of 2018. Being a big fan of the Jade Idol, Bob Fryz had Winfield build him a tribute car echoing some of the impressions of the original car. 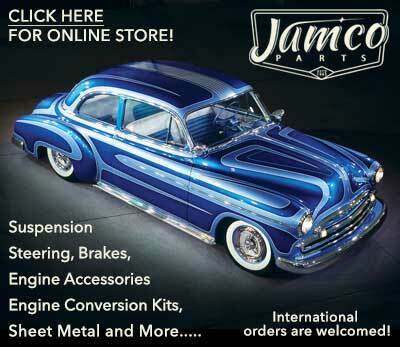 Subscribe to our newsletter and receive updates on Jade Idol and other subjects featured on Kustomrama. If you have additional information, photos, feedback or corrections about Jade Idol, please get in touch with Kustomrama at: mail@kustomrama.com. This page was last edited on 9 September 2018, at 04:23.